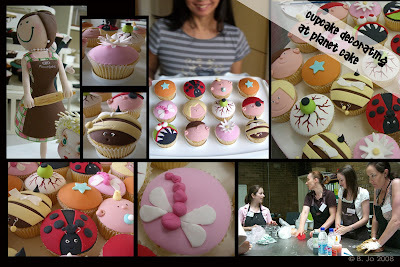 I’ve wanted to do a cupcake decorating class ever since reading about it at lemonpi. So, after booking months in advance, I rolled up last week (together with 9 other ladies) to the Planet Cake course. The lovely Amanda and Anna Maria showed us the intricacies of cutting icing and creating cute kids’ cupcakes that grownups would have no problem devouring as well. You have to work fast, though, and not just because the icing can harden before you finish with it – if you fall behind, you’ll miss out the details on the next cupcake design to be worked on. My report card says that I am a bit slow at the decorating (it comes with practice), but I am very proficient at ganaching. Can I live with that? Sure. Hi!! 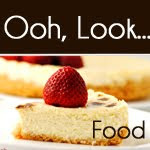 Your cupcakes look great! I didn't manage to make the baby face because I accidentally iced a few too many white topped ones. But anyways, it's a great course isn't it? Still my favourite out of all the courses I've done so far. y - You could have done a few more monster eyes with the white icing! Look forward to seeing more of your creations. Have you signed up for any more classes this year? Maybe I'll see you at one..